As well as Probate administration, we also offer many additional services, which are often linked to the Probate process. They can be discussed on our free bereavement advice line. The range of additional services we offer are vast and expansive. One service we offer is providing advice to those involved with a disputed Will. Sadly, the loss of a loved one is often coupled with emotional, practical and financial difficulties. This difficult time can be made even more stressful when another party contests the Will or estate. Unfortunately, contested estates and family disputes are increasingly common due to family networks becoming more complex. However, we understand that some claims are perfectly valid. You may suspect an executor is not doing their job responsibly, or may feel you are entitled to a share of the estate for some other reason. Whether you are bringing a claim or are on the receiving end, we understand how difficult this can be for you and your family and we are here to help. Every situation is different, and you may find yourself in a situation involving a contested estate one day. If so, we would recommend that you contact us as soon as possible, so that we can provide you with initial guidance and advice. It is possible to vary the terms of someone’s Will after they have passed away should the circumstances so require it. There are many reasons for doing so; for example, you may wish to balance differences in the finances of the beneficiaries. Alternatively, it may be more beneficial for tax purposes to pass on the estate to an additional or different set of beneficiaries, such as the next generation. There are many situations in which it may be beneficial to alter the terms of somebody’s Will. Whatever the reasons, we will discuss whether or not Deeds of Variation are an available option for you, and whether or not obtaining them would benefit your circumstances. The Will of a deceased loved one may also contain a Trust. 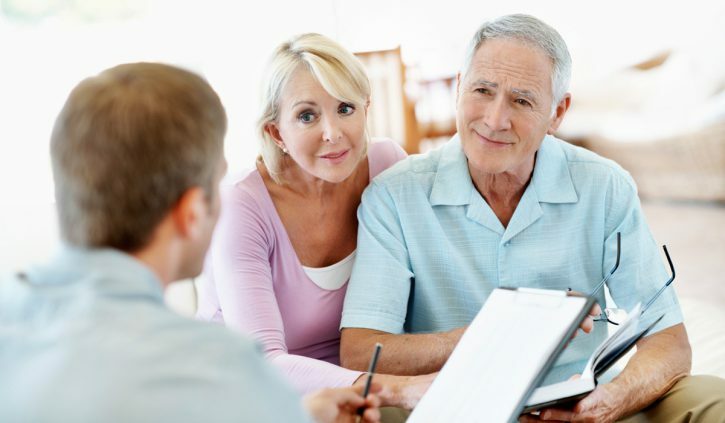 We have a specialist team with decades of combined experience in Trust administration. Our expert advice will be provided on setting up, structuring and managing trusts, and on choosing trustees. We also advise trustees on their obligations and duties. To ensure the wishes of our clients are always carried out, Accord often act as professional trustees. By acting as an additional party, we will ensure your Trust is administered correctly. To ensure trustees carry out their duties efficiently and correctly, we offer a Trust administration service. This includes as holding an annual meeting to discuss liabilities, as well as filing tax returns. The estate will often comprise of a property, which may need to be sold. The sale of the property can be overseen by Accord if you desire. We will ensure the sale is dealt with easily and efficiently. We aim to avoid unnecessary delays in finalising the estate administration and the subsequent distribution of the estate, giving you peace of mind that the beneficiaries will benefit as soon as possible. Often, the passing of a loved one makes us realise how precious life is and how important it is to put our own affairs in order. Accord Legal Services Ltd specialise solely in Probate, Wills and their associated documents. Please take a look at our Wills section, and consider the various options available to suit you and your family. Probate is the legal authority allowing the person named in the Will as Executor, to deal with deceased’s affairs – they apply to the Court and obtain a Grant of Probate. Where there is no Will, one of the beneficiaries applies to the Court and acts under of Letters of Administration.